“The best part of my PEY Co-op experience is the people I worked with. My thoughts and ideas during group discussions and team meetings were valued and considered even though I was only an intern student, and I felt that I was an integral part of the team,” said Emily Miao (CompE 1T5 + PEY). 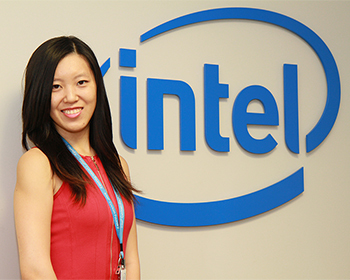 Miao completed her PEY Co-op placement at Intel Canada, where in the position of Digital Design and Verification Engineer, she wrote code to test new design features and tested digital designs to ensure they functioned properly. If it wasn’t working, she would debug the design to find out why. In this role, Miao applied classroom theory on setup and hold time in digital circuits, an important concept used in digital design and verification. Todd’s PEY Co-op placement at Synaptive Medical, a company that develops innovative neurosurgical technologies, is the perfect fit for her. A computer engineering student with a biomedical engineering minor, she has always had an interest in medicine and at her PEY Co-op placement she is turning her passions into practical experience. As for the future, Todd plans to keep her options open for now and is considering medical school as a possibility. 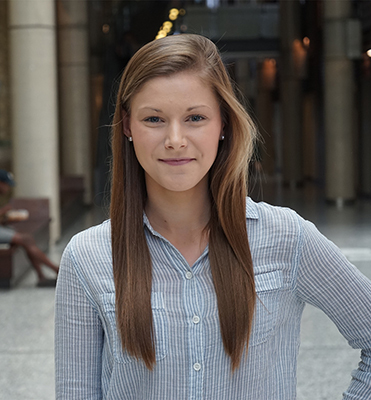 She feels that her PEY Co-op experience will provide a lot of insight when it comes time to pick which path to take.